In looking for a new home, the range of accommodation ranges from a furnished room to a detached house and garden. You will find listings with housing societies, on the internet, in the region’s daily newspapers on Wednesdays and Saturdays, as well as at real estate agents. Zimmer (Room): A room rented individually within a flat or house. Einliegerwohnung (In-Law Apartment): Accommodation separate from a main flat. Einfamilienhaus (Detached House): Building serving as accommodation for one family. Doppelhaushälfte (Semi-detached house): A semi-detached house consists of two houses sharing one common wall. Both houses are typically similarly designed. Reihenhaus (Terraced House): Houses – typically identical – built wall-on-wall. Mehrfamilienhaus (Apartment Building): A building divided up into individual flats: apartment house, das in einzelnen Wohnungen geteilt wird. As a rule, accommodation is offered without kitchen furnishings. Only relatively few flats feature a fitted kitchen, i.e. the tenant fits a kitchen of his or her own, and removes it at the end of the rental arrangement. There is also the possibility to rent furnished rooms and flats temporarily, or as a student to look for a room in one of the halls of residence in Bayreuth. When you rent a flat or house in the Region of Bayreuth, a written rental agreement will always be signed. Typically the rental agreement quotes rent excluding service charges, i.e. only the cost of using the space. This figure is added to by the service charges – for example by water use, heating and building maintenance. Before signing a rental agreement with a prospective landlord or -lady, ask them to clearly state the service charge component of the rent, and any other costs which could be payable by you. 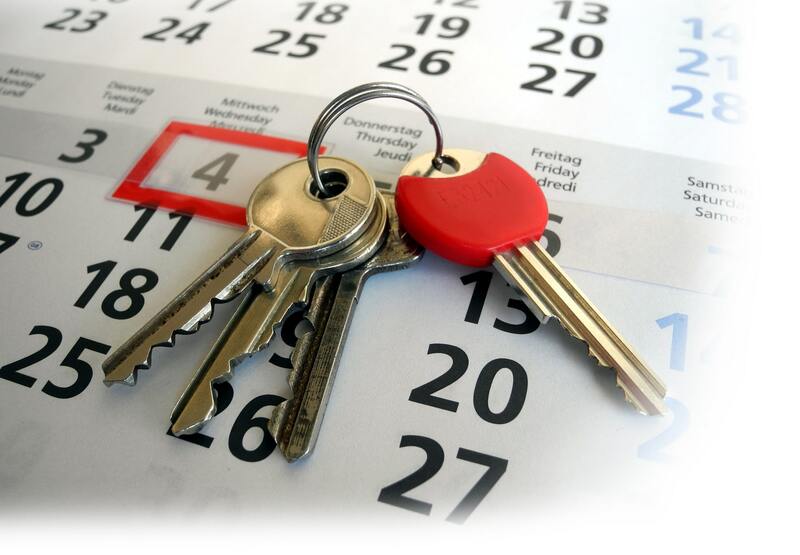 The tenant transfers the base rent plus service charges to the landlord or –lady on a monthly basis. In addition, a one-off bond amounting to several months’ rent must typically be deposited. This money serves as security and is returned when you move out. Information on your tenancy rights as well as further information on all matters concerning renting can be obtained from the German Tenant’s Association. If electricity, water or heating costs are not included in the rental service charge, you will have to find a provider yourself and sign a contract. There are numerous electricity and gas providers to choose from. The local energy supplier in Bayreuth is Bayreuther Energie- und Wasserversorgungs- GmbH (BEW). The prices charged by electricity providers often vary greatly, meaning it pays to compare them on the internet. In Germany there are various providers of telecommunications services. It pays to shop around. In doing so, take special note of package deals combining telephone, internet and television. For mobile phone contracts, it is possible to choose between a standard monthly contract and pre-paid contract. Online Portals will offer further advice in this regard. Because the installation of your telephone and internet connection can take several weeks, we recommend you get in touch with the provider of your choice before moving into your new accommodation. In addition to your contract with a telecommunications service provider, television license charges apply in Germany for the use of radio, television and web-enabled devices (PCs, smartphones). This contribution is only payable once for every unit of accommodation, regardless of how many devices it contains or how many people live there. Every household is obliged to register with the Contribution Service upon moving in to new accommodation. In Bayreuth you can also access the internet for free at public hotspots. Public, free Wi-Fi hotspots in Bayreuth (selection) are for example in front of the New Castle in Bayreuth, the Rotmain shopping center, in the RW21 (City Library and VHS) and in many shops and cafes.